Not sure if the issues you are facing are because of a cavity? Find out now. Most people will deal with a cavity at some point in their lifetime, but often times they don’t even know that they have a problem until they come in to visit our Apple Valley, CA dentist Dr. Samuel Kim. If caught early enough a cavity can easily be treated. 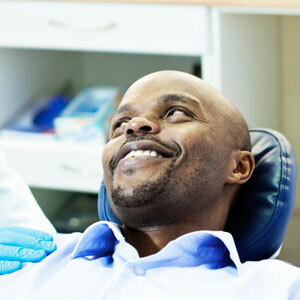 Learn more about what to look out for when it comes to a dental cavity. If you are experiencing any of these problems then it’s time to call our Apple Valley general dentist to have your teeth examined. The sooner you can catch and treat a cavity the better. It doesn’t have to be impossible to prevent cavities. Simple measures such as brushing and flossing every day, using toothpaste that contains fluoride and maintaining a healthy diet that is low in sugar can greatly help with cavity prevention. Also, visiting us every six-months for routine cleanings and exams are crucial for identifying the early stages of cavities when treatment is much easier. Plus, we can also recommend other treatment options to prevent cavities for those at a high risk of developing cavities. Apple Valley Dental is here to provide your family with the dental care everyone needs to maintain healthy smiles. Turn to Dr. Samuel Kim, your Apple Valley, CA family dentist you can trust.